Don’t pick styles and colors that are extreme; after a few years they may wear on you and become annoying. Here are some suggestions to help you design a kitchen that you will love for years to come, and will be a selling point if you ever decide to move! 1. White is the most popular color. The National Kitchen and Bath Association survey’s always find this color at the top. It is never out of style; it is a bright color that reflects light and makes small kitchens seem larger. It looks clean, and is easier to clean! 2. Hardwood flooring rates as very desirable for 80% of home buyers. It has warmth and makes homes look cozy and inviting. It goes with all kitchen styles. 3. For cabinets, you can’t go wrong with Shaker style. They have been popular for generations and their simple, clean lines are easy to keep clean. They are a perfect fit for transitional style; a great combination of traditional and contemporary. 4. Carrera marble for countertops is a classis that never goes out of style. It has a lacy graining and subtle white colors that will fit with any color scheme. They are long-lasting and less expensive than quartz. 5. Backsplash tiles – go with subway tile and you will love it! This has been popular since the 1900’s. Remember, neutral colors will always be current and blend with any look. 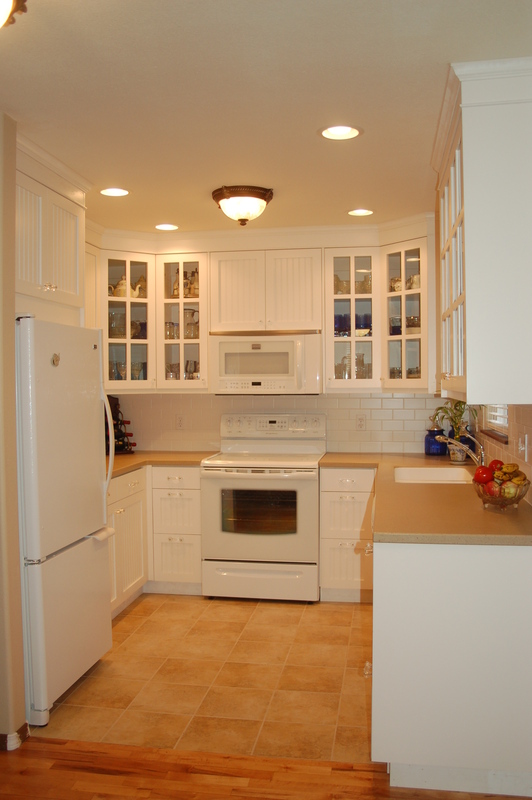 I was reading through your blog and had a quick question relating to avoid mistakes with your kitchen remodel. Could you please email me? Thanks!